The growing trend of cities and states adopting local drone regulations in the U.S. is seen as a major potential challenge to the federal government’s efforts to widely integrate drones into the national airspace system. In a new report, the first in a three-part series on the landscape of local drone use, we identify over 130 U.S. cities–which are together home to over 30 million people–that have adopted local drone laws, many of which may contravene federal authority and could result in legal challenges that test standing notions of who owns the air. The Wall Street Journal reports that NATO will invest $1.85 billion in additional satellite bandwidth in order to accommodate its new fleet of RQ-4 Global Hawk drones. NATO is acquiring five Global Hawks, the first of which is expected to arrive in Italy within a year. At Popular Science, Jeffrey Lin and P.W. Singer examine the different weapons China is fielding to counter drones. In Proceedings Magazine, Cdr. Jeremy Vaughn considers the threat posed to maritime forces by drones. 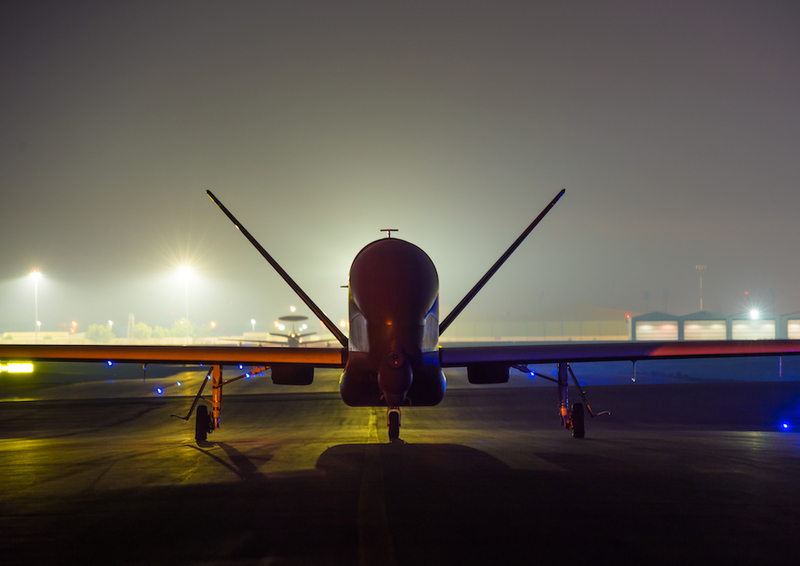 At DefenseNews, Valerie Insinna writes that U.S. Air Force Predator and Reaper drones are assuming more close-in air support roles in the campaign against ISIL. In an interview with DefenseNews, Col. Ross Anderson discussed the role of U.S. Air Force reservists in drone operations. At Fortune, Jonathan Vanian studies our latest report on local drone laws and considers how drone operators could be fined or sentenced to jail time for operations that are legal by FAA standards. At C4ISRNet, Adam Stone looks at how large underwater drones will shape the future of undersea warfare. A Remote Control briefing paper argues that the U.K. should improve transparency surrounding targeted killings. At the Guardian, Spencer Ackerman speaks with a Yemeni family that is afraid they may be targeted by U.S. drones. Yale University’s WeRobot 2017 conference featured lectures on regulating drones, machine learning, and automation. At the National Interest, Dan Goure argues that the evolving security environment will require more intelligence-gathering platforms. Breaking Defense looks at the many different unmanned systems that will be put to the test in an upcoming U.S. Marine Corps wargame.